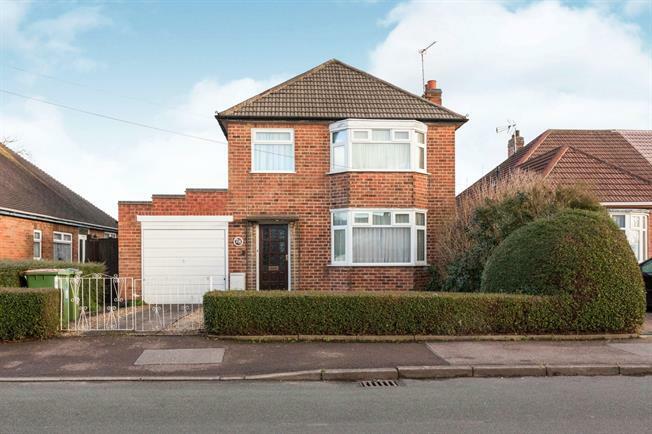 3 Bedroom Detached House For Sale in Leicester for Asking Price £250,000. This well presented three bedroom detached house occupies a generous plot and offers scope to extend to the side and rear (STTP). The property offers traditional living space with two reception rooms, extended kitchen, ground floor WC, three bedrooms and a bathroom. Other main features include integrated garage, gas central heating, double glazed windows and doors, driveway parking, generous laid to lawn rear garden and paved patio. Local shops, schools and travel links are within walking distance of this popular location. No onward chain. Viewing advised.